Up to £100 Off Plus Free Delivery on Selected Appliances at Littlewoods Shop a huge range of washing machines, fridge freezers, dishwashers & more this Spring at Littlewoods! Shop £10 Off Fragrances & Beauty this Spring at Littlewoods Pick up your beauty essentials for less this Spring at Littlewoods. Find 50% Off Sofas at Littlewoods Revamp your home with a new sofa! Take a look at the range at Littlewoods with up to 50% off. Save £100 on Garden Furniture at Littlewoods - Shop Dining Sets, Benches & More Give your garden some TLC this spring and save £100 on a range of garden furniture at Littlewoods. Up to 25% Off Selected Toys at Littlewoods Get them some new toys they'll adore from the fantastic range at Littlewoods. Free Click and Collect on Orders at Littlewoods Save on delivery charges and time with the fast and efficient free click and collect service at Littlewoods. Discover £10 Off Games at Littlewoods - Including PS4 & Xbox One Keep the kids entertained and shop £10 off a range of games at Littlewoods. Up to 30% Off Women's Fashion at Littlewoods Find dresses, shirts, shoes and more with up to 30% off for a limited time at Littlewoods. £60 Off Selected Clothing and Footwear in the Clearance at Littlewoods Save up to £60 on clothing and footwear in the Littlewoods clearance. Free Delivery and Returns on Orders at Littlewoods - Includes Large Goods Littlewoods offers flexible delivery options like free delivery and returns! Littlewoods has been a much loved British brand since 1923 when it formed as a sports betting company. In 1932 the company turned to mail-order retailing and in 1937 the first high street store opened. The operation soon expanded and Littlewoods grew to become one of the largest private companies in Europe. Now part of the Shop Direct Group, Littlewoods remains a national institution. With Myleene Klass designing and modelling the womenswear collection and Mark Wright styling the own brand menswear, Littlewoods is full of recognisable faces. TV hero Laurence Llewelyn-Bowen even designs an exclusive furniture and homeware collection. Many of your favourite brands are here across its range, including Apple and Samsung phones, RIver Island and Superdry fashion and Nike and Reebok sportswear. Its sale section is worth checking out for up to 50% off its biggest and best products, so if you go down to the Littlewoods today you’re sure of great value deals! How do I use my Littlewoods promo code? Sign up to Littlewoods’ mailing list to hear about some brilliant offers for new and existing customers! Does Littlewoods have an app? Yes, you can browse and purchase items on Apple and Android. Download here! Can I get free delivery with Littlewoods? Yes, Standard Delivery and delivery of Large Goods are free, as is Click & Collect. Where is the Littlewoods’ sale section? It’s right here! Enjoy up to 50% off its top items. You can return most purchases within 28 days of receipt to receive an exchange or refund. Item must be in original conditions and packaging with tags intact. Log into your account, select the ‘Returns’ tab, choose what you want to return then follow the instructions. You will not be charged for sending the item back. Full policy here. Littlewoods is a classic British brand, with a huge selection of homeware, fashion, tech items and more available in catalogue and online. A Littlewoods discount code from vouchercloud will save you money off its enormous range, so now you can get your fill of sports equipment to keep your summer workout regime going strong, as well as soft furnishings, jewellery and much more to add a little oomph to your lifestyle. All the brands and items you love on one easy to use site – what could be better? 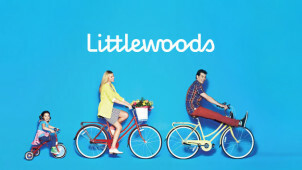 You can get the latest updates from Littlewoods by signing up to the newsletter. Simply visit the homepage and pop your email in to start receiving style edits, special offers and more fun from Littlewoods. Littlewoods has a huge sports and leisure range to help keep you and your family active in every way possible. Perfect to prepare for a summer camping trip with quality tents and gear available, plus racquets and balls for outdoor games that'll keep you entertained for hours! We've got your budget covered too with a Littlewoods promo code to save you money off your next purchase. Now you can get outdoors and stay active with top brands for less when you shop with vouchercloud. Get cycling, running and playing today!